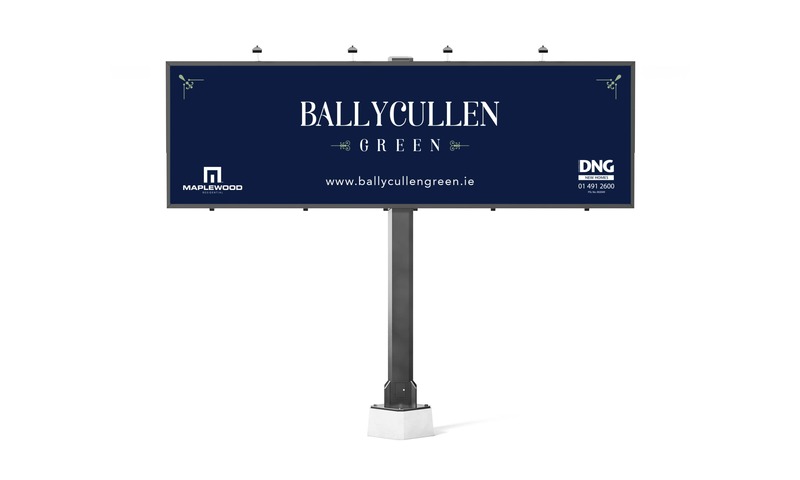 DNG – the largest seller of residential property in the greater Dublin area asked Idea to use our design magic on marketing material for a new development. 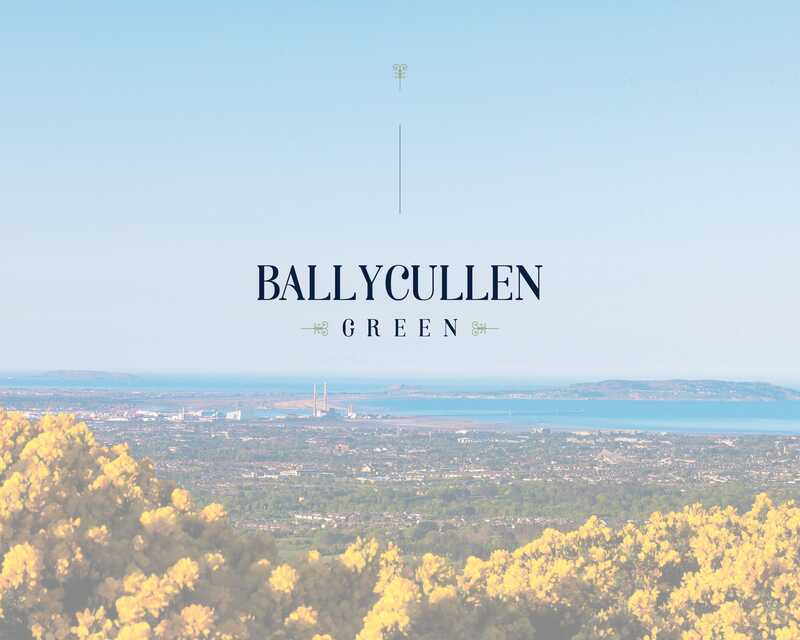 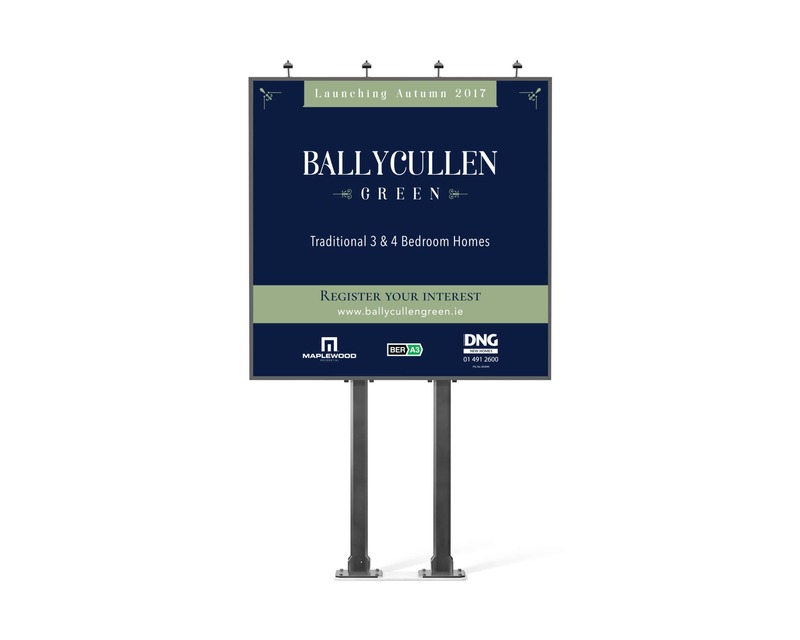 Ballycullen Green – a stunning new homes development at the foothills of the Dublin Mountains – needed a brand, brochure, signage and ‘register your interest’ page to showcase and sell the exciting address and beautiful development. 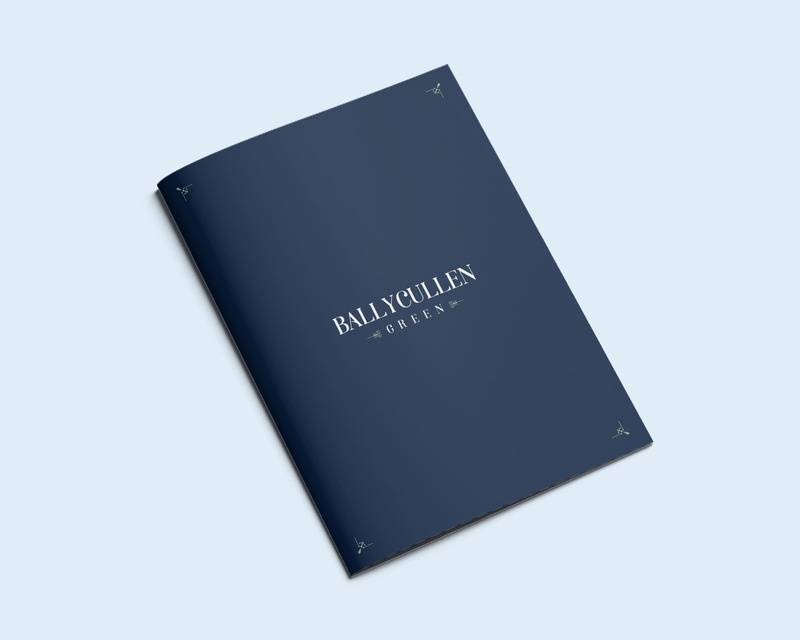 Idea developed a unique logo for the development which was implemented alongside unique designs on the brochure and signage. 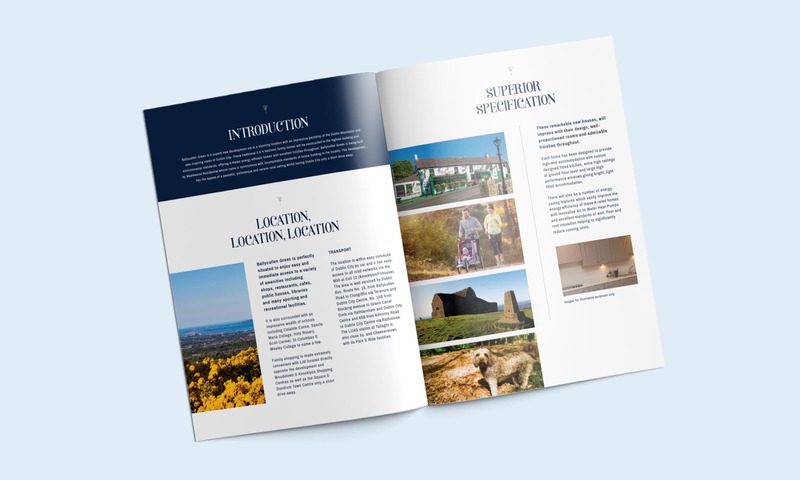 All materials were printed and installed within a tight deadline for the phase 1 launch. 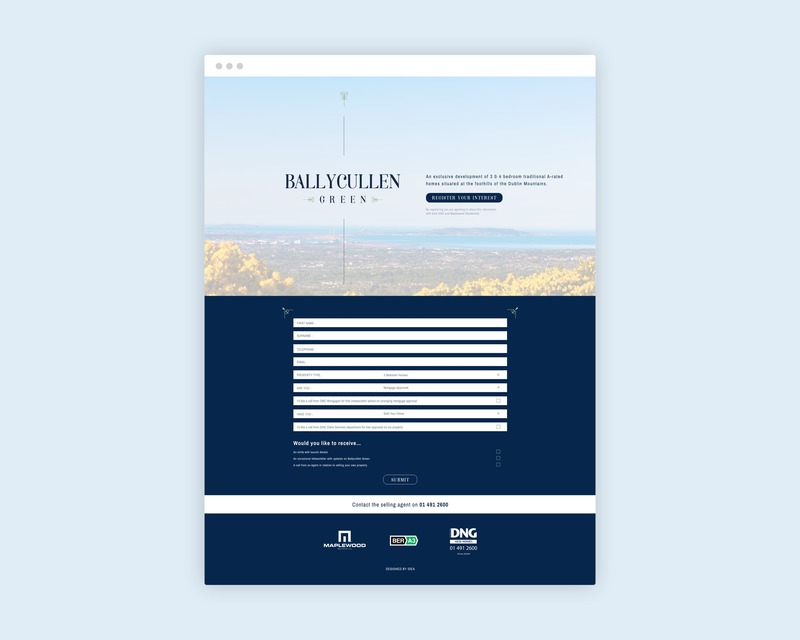 Idea also developed a ‘register your interest’ page to capture details from interested potential buyers.